We offer laser cutting services and engraving services to individual clients, large corporations as well as everyone in between. Our industry leading CO2 laser melts, burns or vaporises the material with extreme precision producing incredibly high detailed cuts and also etchings. As well as offering laser cutting services we use laser cutting in our day-to-day projects. 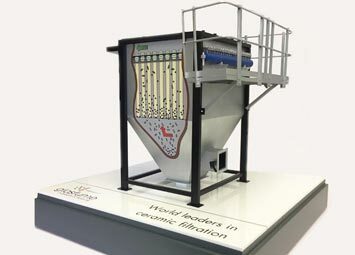 To ensure a precision finish while giving flexibility to your designs while also keeping them cost effective. So you can be sure your project is in good hands. 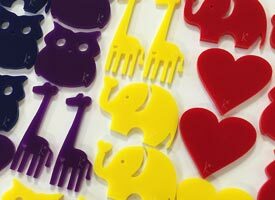 Laser Cutting Services – what can we cut? A wide range of materials can be laser cut. Including acrylic, wood, card, paper, stencil material, and much more. We do not cut metal. As well as laser cutting services, we also offer laser engraving services for an even wider range of materials. Acrylic is perfect for laser cutting. It’s available in multiple colours in 3mm and 5mm in gloss, matte, and also frost finish. Cast acrylic engraves nicely too! 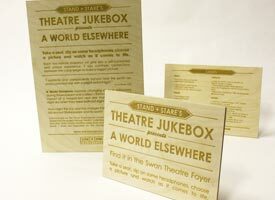 We laser cut and engrave all types of wood including: MDF, plywood, laminates, and also veneers. Choose from a range of thicknesses to suit your needs. 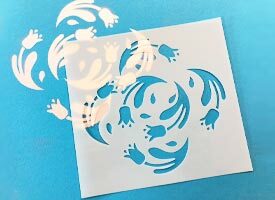 Card & paper cuts quickly and cleanly and is great for laser cut stationary also invitations and more. Most card can be laser engraved as well! Mylar is a durable polyester film used in stencil making. It can be washed and re-used therefore increasing it’s life span. You can also request food safe Mylar for cake or coffee stencils. Get in touch for free advice, we are happy to check your files and suggest the most economical way to produce your design. 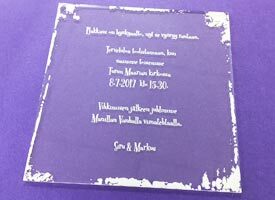 Laser Engraving Services – what can we engrave? A wide range of materials can also be laser engraved. 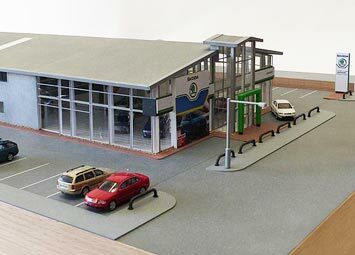 Including acrylic, wood, card, paper, also anodised aluminium, and much more. Also check out our laser cutting services. Acrylic is great for laser engraving, and can be etched with incredible detail. Perfect for patterns, logos, or text. 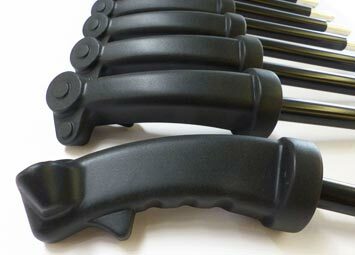 It’s available in a range of colours in 3mm and 5mm including gloss, matte, and also frost finish. Acrylic can also be laser cut with extreme precision. We laser engrave and cut wood including: MDF, plywood, laminates, and also veneers. 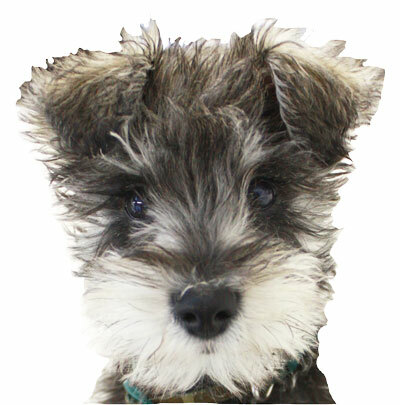 The laser removes a small amount of material which creates a permanent engraving. 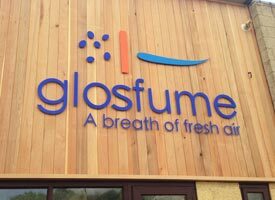 Perfect for personalising or branding bespoke timber products of all types. Leather can be laser engraved. 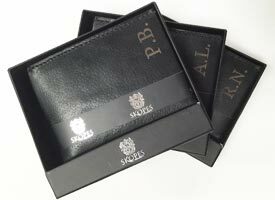 We etch all sorts of leather products for example wallets and belts as well as branding samples for companies. Great for personalising gifts for birthdays and anniversaries or for leather craft. 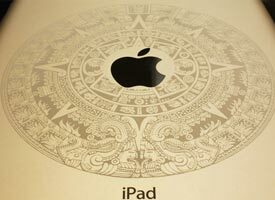 iPhones, iPads, and iPods provide an ideal surface for laser engraving. Anodised aluminium coatings are removed safely by the laser, with precision, to produce a clean sharp etching. Great for branding, adding serial codes or just personalising your device! 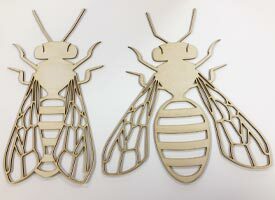 Laser Applications – how can laser cutting help you? Laser cutting is a precise and clean way to accurately produce parts from various materials. 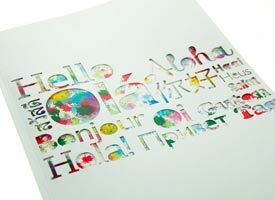 It can be used along side other techniques in a wide range of applications including: Stencil making, bespoke jewellery, sign making, stationary and also wedding invitations. Below are some examples of past projects, please get in touch to find out more. 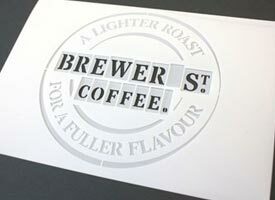 Great for branding, signage, and also coffee stencils! 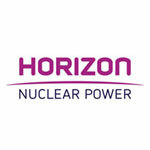 We create various types of signage for both residential and also commercial use. We also use cnc machining to produce larger scale signage. 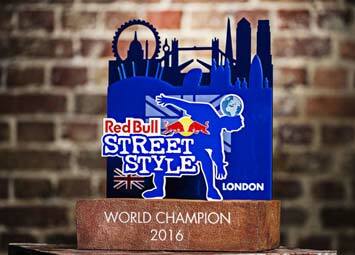 Contact us to discuss your signage needs and see how we can help you stand out from the crowd. A common enquiry is for plastic laser cut letters for signs. 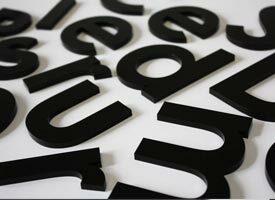 Plastic letters are cut from acrylic and are sharp, crisp and modern. With such a wide range of colours available, we should be able to match your branding colours. They can also be used for stamp making! 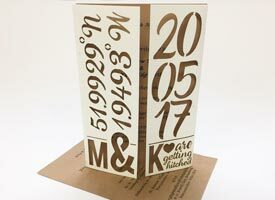 We create bespoke laser cut wedding invitations and also add embellishments to your stationary for your big day. From custom wedding invites to table place name tags and even bespoke laser cut confetti! Contact us with your wedding ideas and we can help make them a reality. 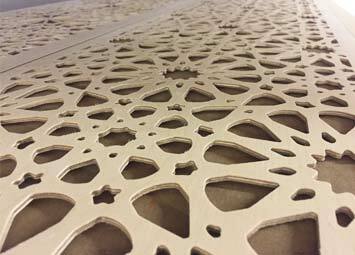 If you’re unsure about how laser cutting can help with your project, get in touch with us for free advice. We can also help you with the necessary computer files!